The Wichita County Sheriff’s Office will be hosting a hiring event on April 7th at the Wichita County Courthouse from 10a-2p. 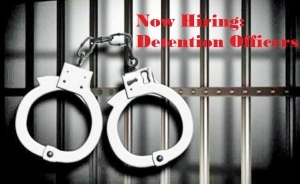 The event will focusing on hiring Detention Officers. The Wichita County Sheriff’s Office is looking for the best and brightest individuals. Those who have the aptitude and sense of commitment, those who want to help their community, and those who want to make a difference. A career with the Wichita County Sheriff’s Office offers; challenge, excitement, teamwork, and job satisfaction, opportunities for special assignments, and career development, opportunities for promotion, and competitive salary and benefits. Visit the Career Opportunities page for more information on the position, application process and to print off and complete the Personal History Statement and Job Application prior to the event.